I LOVE these for Fall weather! 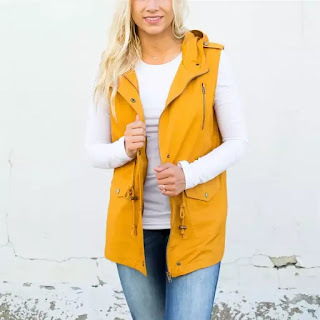 Head over to get one (or a couple...) of these Extra Long Vests for ONLY $18.99 (Retail $37.99)! Our best selling vests are back with new colors for fall! These long length vests are perfect for pairing with short sleeves or long sleeves. Our favorite combo is adding a colorful scarf in the fall!